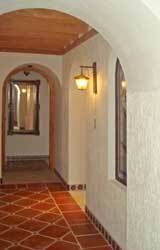 We offer beautifully appointed rooms that each have a unique character and share a common theme of eclectic design elements that show off the unique character of Mexico and her colorful history. Thoroughly modern with state of the art amenities and unequalled comfort, each contribute to your stay in your home away from home. 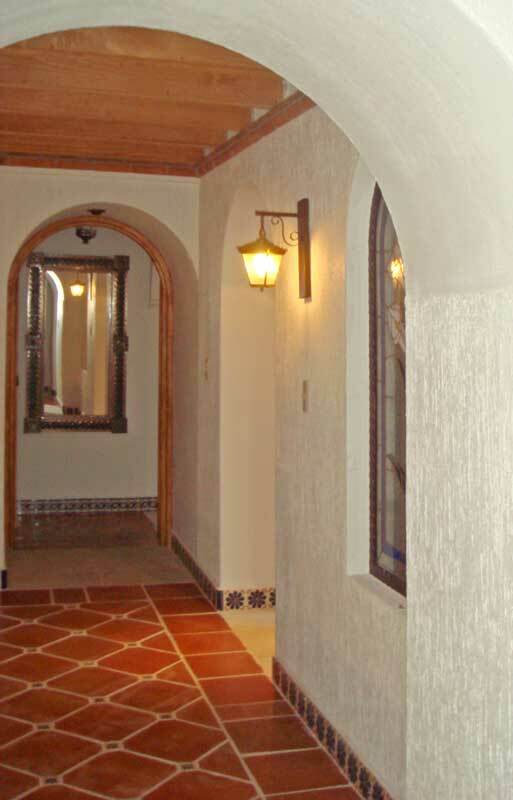 The original home of painter Juventino Rosas Juarez has been completely renovated to the highest standards of international accommodation and boasts interior and exterior design true to the spirit and culture of Mexico. 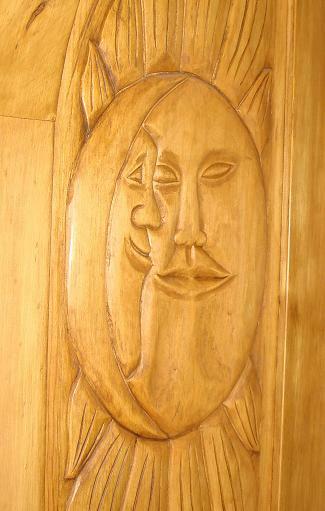 The bedrooms are "Las Ranas" (The Frogs), "Las Alcatras" (The Lillies), "Sol y Lun" (Sun and Moon) and "La Cava" (The Cave). 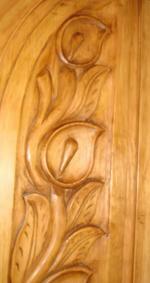 All feature hand carved wood work with these designs..
A bright and cheery theme common in Guanajuato. 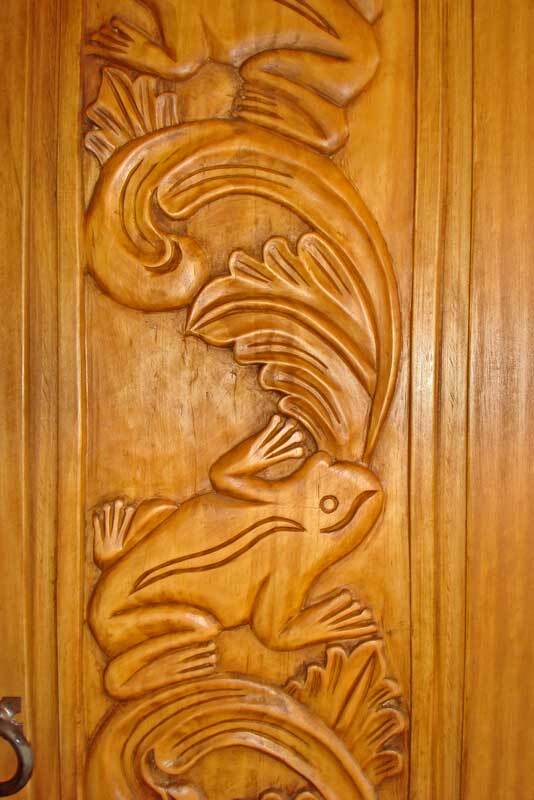 The frog is a frequently used motif as "Guanajuato" comes from the local Indian dialect meaning "Place of the Frogs." A beautiful flower often mistaken for the lily, the alcatras is held in near veneration by the people of Guanajuato. A private bungalow hideaway next to the roof terrace, suitable for single accommodation. Copyright © 2007 CDP. All Rights Reserved.